American scientist Matt Miller is torn from his own century and dropped into Colonial America with nothing except a backpack. His phone, his money, and his identity are all useless and he quickly finds that he is foreign and alone in his own country. Matt must meet the challenge to survive in a newly forming society where he seemingly has no relevant skills and no one he can count on. 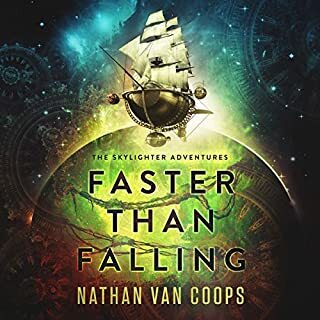 He suspects that his 21st century knowledge of science and technology could make him a king in the New World, but he quickly finds that 18th-century America is a dynamic place where nothing is guaranteed. It's 1942 and talented young artist Emily Torrance is brutally murdered. Seventy-five years later, Jim Mercer, a reporter for the LA Times, covers a J. Paul Getty Museum showing of Emily's work and is smitten by her self-portrait. 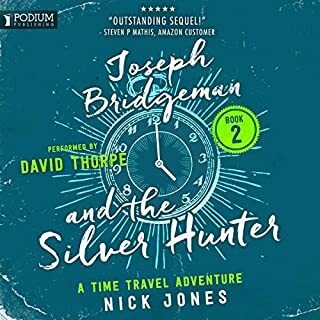 Eventually becoming obsessed with the slain artist, Mercer investigates her murder and discovers something the cops of 1942 missed: evidence of Emily's killer, but more - proof of time travel. Would you murder your past to save your future? Emily Davis is living a night to celebrate, but before the champagne can be finished, she finds herself facing strange and unsettling realities. 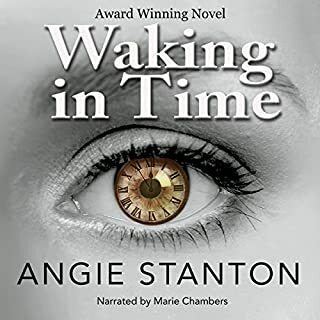 When her new fiancé returns from a crisis at the power plant and begins acting strangely, Emily is dragged into a whirlwind of events that make her question everything she knows about the future, and even the nature of time itself. With a glimpse of a reality yet to be, Emily must fight to survive the new threats to her existence and confront the darkness inside the people she thought she knew best. Fun, fast-paced, and thought-provoking - fans of twisting time travel, The Twilight Zone, and Black Mirror will enjoy this standalone, novella-length adventure in the world of In Times Like These. Shake up your reality today! 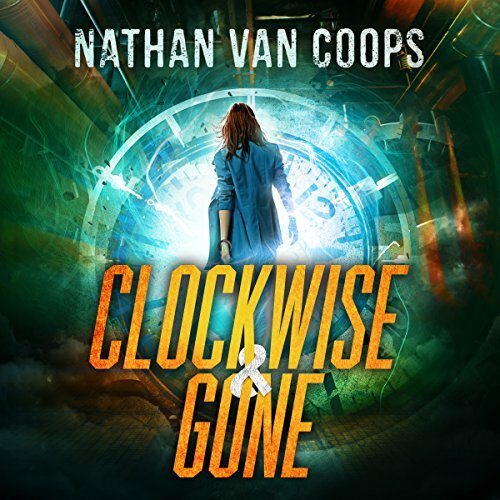 Nathan van Coops is back at it again with another thrilling time travel adventure. This is a short-story though!!! I wished it was longer and had more twists. However, I can't complain with how the book began and ended. I felt like the author wanted to add a lot more intricate details but refrained from it. There was so much room for Nathan to thicken the plot as he usually does. However, it was perfectly fine the way it ended up! 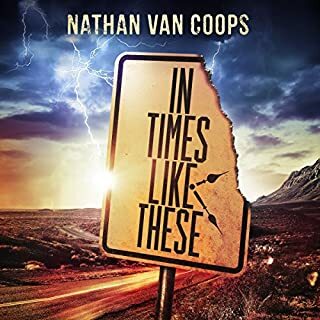 Only downside is that Nathan van Coops utilized several references to his "In Times Like These" series. 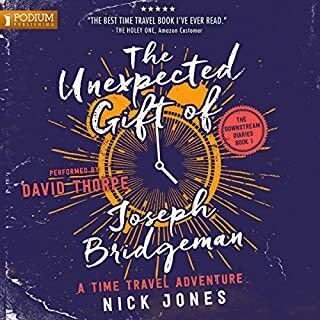 If you haven't read those books, you may be a little bit confused on the mechanism of the time travel in this book. What’s not to love? Time travel, love, obsession, and, most importantly, we have Carson!! The narrator did a fabulous job. If your a fan of the ‘In times like these’ series you’ll enjoy this. I hope we get more stories of Carson. I really like the story and story line, at first did not care for one of the main characters she was So self involved, then as story got going my opinion changed. 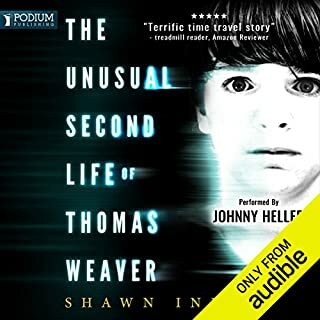 I purchased the next 2 books in Audible book to continue to listen to. Hope they are as good or even better! Really good. Just what I needed after finishing warp clock. I love this universe it’s set in. Different and gladly familiar to the main story. It fits right in.